Driving innovative and sustainable engineering design. 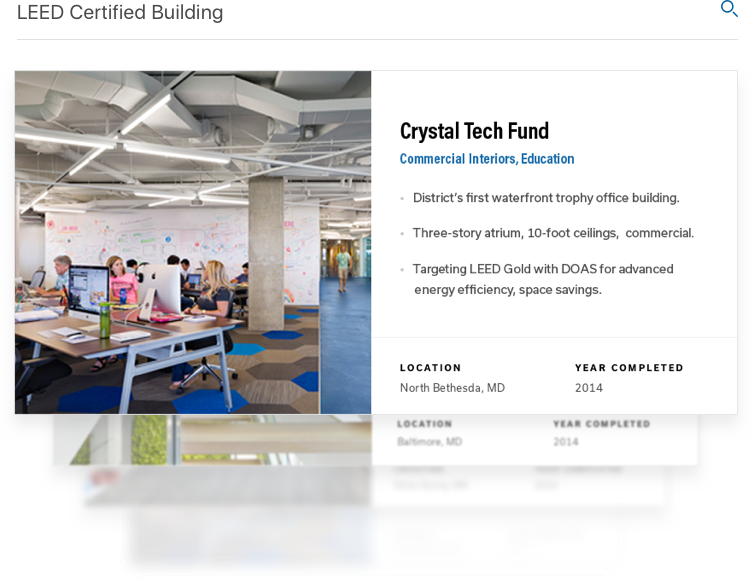 HT is recognized as a national thought leader in sustainable, efficient, and resilient solutions for the built environment. They have also supported the first project to achieve Platinum certification under Leadership in Energy and Environmental Design (LEED) v3. 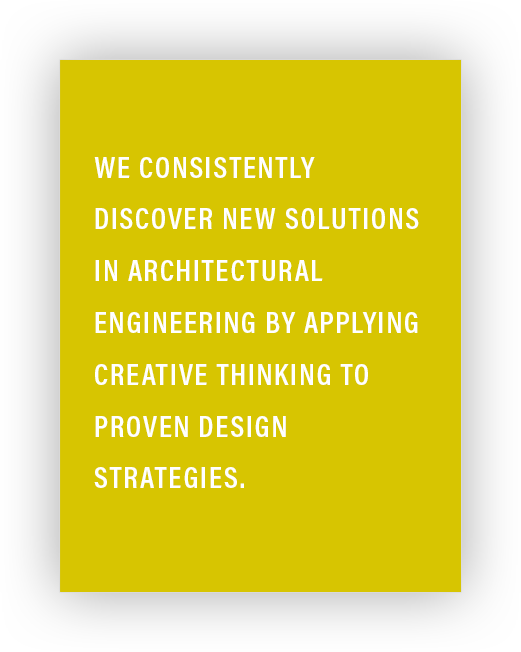 GHT consistently discovers new architectural engineering solutions through creative thinking while focusing on practical results. WDG partnered with GHT to help deliver architectural engineering solutions through a focus on flexibility, recruitment, and showcasing their rich history. With GHT Limited's current growth, they needed to recruit outstanding and equally innovative talent. 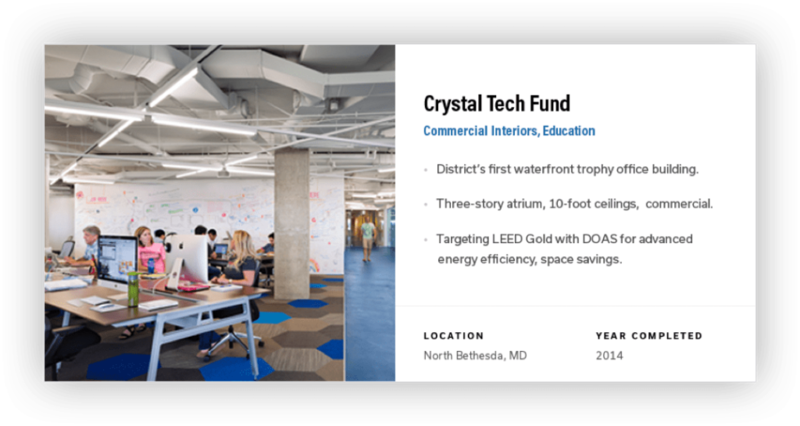 GHT partnered with WDG to highlight their impressive portfolio and office culture. WDG was able to create a visual space that showcases GHT’s creativity, culture and continued success. GHT’s attractively designed logo and collateral represented their impressive reputation. Their website, however, did not reflect the brand’s vibrancy in their culture and personality. 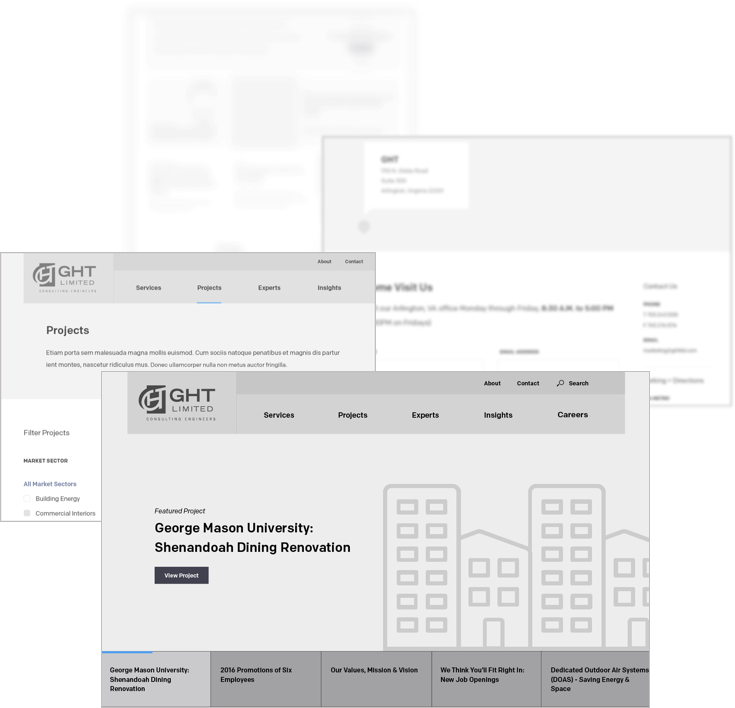 GHT’s new site needed to validate perceptions and increase referrals, so WDG created a site which reflected their overall reputation. Although GHT initially came to WDG for updates and security support on their Drupal 6 site, the product is no longer receiving security patches. Alternatively, WDG recommended WordPress which would provide an easier administrative interface and organization of content. GHT’s impactful and innovative work is difficult to capture visually. GHT wanted to show how all of their services are related. We added related content at the bottom of each page to help site visitors browse and explore. From a marketing perspective, the goal was to reinforce GHT’s reputation for innovative, sustainable engineering design and consulting. 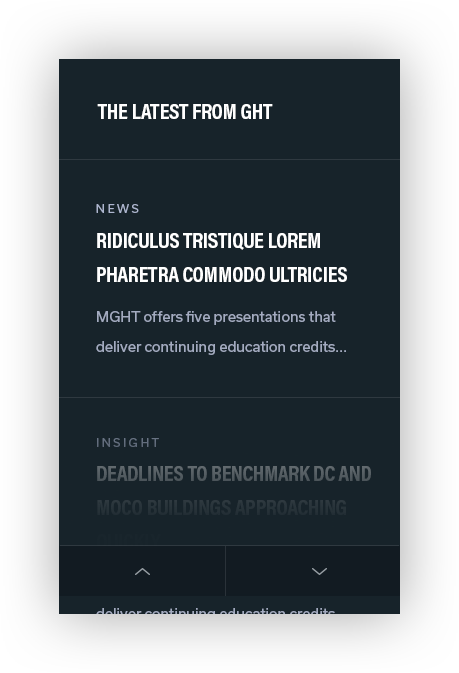 WDG managed GHT’s goal by showcasing their projects, people, and thought leadership on industry trends. WDG’s developers created a WordPress CMS system which not only supported our designer’s vision, but also left room for updates and editing in the future. For example, the slider was built for easy adjustment as GHT grows. WDG deviated from the initial navigation structure, which had heavy overlays and a lack of contrast. Our developers customized the header to make it visually consistent and responsive. They also ensured text and overlays were complementary instead of overwhelming. WDG’s development team utilized an automated system to automatically populate related content based on taxonomy. WDG also implemented a faceted search filter which intuitively searches by pre-filtering relevant terms. Faceted search is unique in comparison to a filtered search because it “looks ahead” for the user which creates a more user friendly less cumbersome website. Due to GHT’s growth, it was also important for WDG to help streamline their application process. Previously, the application was a long, tedious form on a single page. WDG redesigned the application as a multi-page form which provided internal ease of administration as well as a less frustrating navigational experience for the user. WDG brought GHT into current trends for both technology and design. WDG showcased imagery, culture and employees through custom pages and related content. 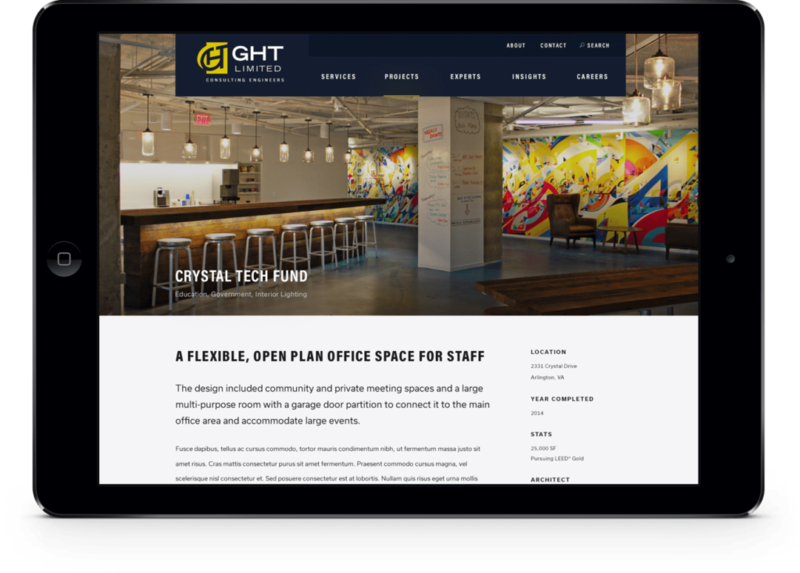 In contrast to many B2B websites, GHT’s website is not a lead-generation tool. Instead, their website’s purpose was to validate their reputation. To accomplish their goals, WDG highlighted blog content, employee profiles, news, and projects. WDG created an elaborate template catered to a wide range of visual assets. GHT now has greater opportunity and digital avenues for continued growth and success.